BEEP! BEEP! BEEP! What’s that sound? 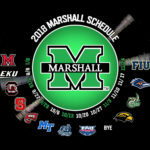 It’s the Marshall football team backing its way into the college football bowl season. 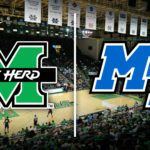 The Thundering Herd started the 2017 season on a hot streak winning six of its first seven games, many of those outcomes coming in blowout victories behind a stifling defense. 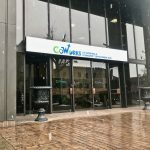 But, after a 38-10 victory over a Brent Stockstill-less Middle Tennessee, the Marshall football season began to unravel and the Herd lost four of its final five games, including a heart breaker on senior day 28-27 to Southern Miss. 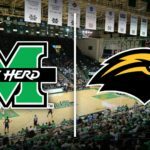 The Thundering Herd scored with a little over a minute left on a one-handed catch by tight-end Ryan Yurachek and it looked as if the game was heading to over time. But, a botched snap and hold led to a failed point after attempt. 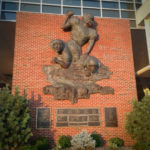 The Golden Eagles would recover an onside kick, take a couple of knees to run out the clock and leave Huntington, West Virginia with its third straight win. Meanwhile mistakes like the one on the extra point attempt became staples of the Herd’s play over the last five games of the season. The only win in that stretch was a home victory over new archrival Western Kentucky, and good thing too. A fourth loss in a row to the Hilltoppers would have sent an already upset Herd fan base into a frenzy. 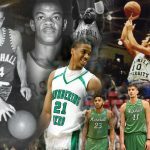 Marshall went from looking like the front-runner to win Conference USA’s east division to a 4-4 finish in league play. 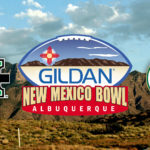 Still, the Herd’s seven wins are good enough to secure the program its fourth bowl appearance in the last five seasons. But, while most teams are heading into their postseason matchups with full heads of steam the Herd is slowly backing its way into a lower tiered bowl game against a fellow Group of Five school. So how did such a promising start end in such disappointing fashion? Well, there are lots of factors. 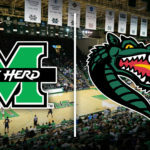 The Herd suffered injuries to key players like start wide receiver Tyre Brady who missed all but one series of Marshall’s final three games. There were an embarrassment of riches in terms of inopportune penalties that killed drives or kept possessions going for opposing teams. Of course the Herd got into the giving spirit of the holiday season a bit early with a multitude of turnovers. In Marshall’s final five games the Herd committed 13 turnovers, 10 of them by quarterback Chase Litton, while only forcing three takeaways of its own. It’s hard for any team to win when it loses the turnover battle that bad, but the biggest factor might have been that the Herd’s level of competition increased. 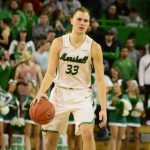 During Marshall’s 6-1 start the Herd played only one team that finished with a winning record, the NC State Wolfpack who finished its regular season at 8-4, and handed Marshall its lone loss during that stretch. However, over the last five games the team faced four opponents that finished the regular season with winning records and no team that finished with a losing record. Western Kentucky at 6-6 was the worst team the Herd faced in that portion of the schedule and the Hilltoppers were Marshall’s only win. 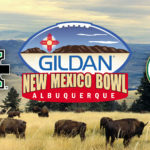 So, the bowl remains the Thundering Herd’s final attempt to beat a team with a winning record in 2017 and more importantly it’s the program’s last chance to head to 2018 with some momentum. It’s one thing to back into the bowl season, but no team wants to back into the offseason.